It’s been a long time since I posted anything about the ongoing growing-up of Rosa’s youngest daughter, my goddaughter, Sofia, who is now seventeen. After secondary school we, along with another couple who are also tutores (meaning we act as her sponsors, footing the tuition and other bills and providing guidance), got her into what is probably the best private school here. It’s new and still in the process of formation but in spite of some administrative fits and starts as they have moved into a newly-built, modern and attractive campus, it’s still the best school in town and Sofi is doing well now in all her subjects – especially her English and Spanish are both improving dramatically. 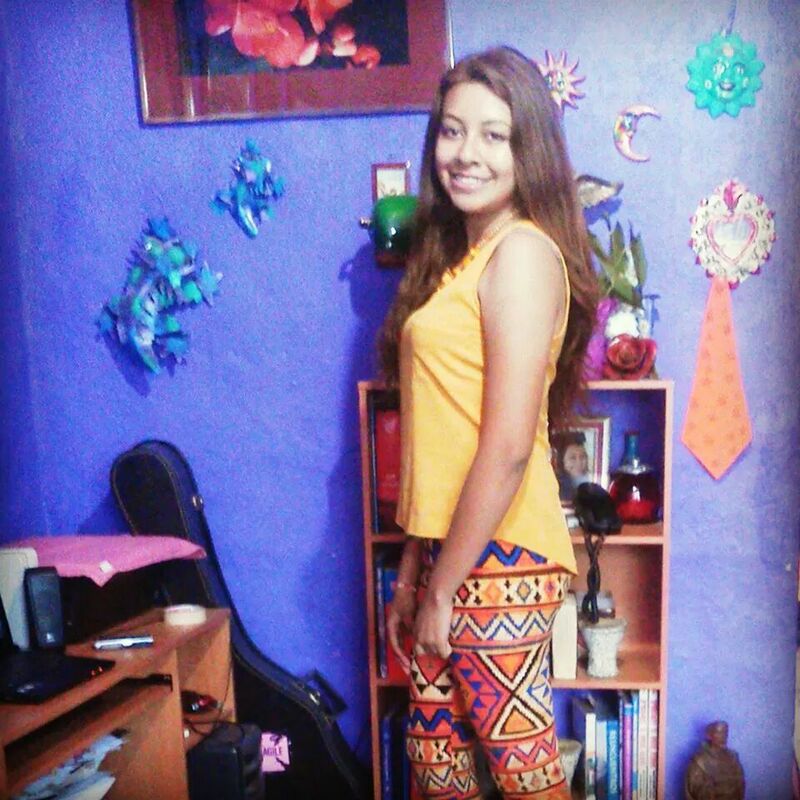 She faces one more year of prepa (preparatoria, which is high school) and then it’s time for college. There are three of us retired women who comprise what we jokingly call “Team Sofi” – myself, her other sponsor, and one other good friend. One is a retired school psychologist and the other is a retired master Spanish teacher. Both of them saw early on that Sofia was extraordinarily motivated and intelligent, aside from which she’s charming and funny and beautiful, so they hopped on the bandwagon to help by being her coaches and mentors in any way that they could. It has been lots of fun and the three of us have become closer as friends as a result of our weekly coffee “check-in” meetings with Sofia after school. There is also the occasional meeting with various people at Sofia’s school, just to keep on top of things there. But after an initial rough start, going to a school that was both truly bilingual and also a lot tougher than where she had been, now she’s getting 90’s in most of her subjects, so we are reasonably sure she can get into a good college when the time comes. But my gut has been telling me she just isn’t ready to make a career choice yet; she has no family role models for anything except being a maid or a gardener; she didn’t know of any of us who are helping her now when we were still working. Here, as in many European countries, you graduate from high school and you elect a carrera – a career course – in college – and you start working toward that from day one. No time to dabble in the liberal arts, take underwater basket weaving or humanities courses or an art or music history course for general enrichment and take your time learning what your career options might be, the way it was when I was in college. No, you better pick right the first time or you have to start all over again from the very beginning in a new “career” curriculum, Sofia says she is interested in medicine, becoming a doctor, but competition to get into the University of Guadalajara medical school is beyond intense and if she makes a wrong choice and decides she doesn’t really like it, she’s wasted a lot of time flailing around. And since Arnold and I have committed to helping her financially, we also don’t want her to make what could be a costly mistake. No one in her family as ever even graduated from high school, let alone gone to college, so she has no one really to give her any decent guidance except for us, and we all went to college, not here in Mexico, but in the States, fifty years ago. We all realize that for her, travel and experiencing another life and another culture would be key to her continuing development. But how? Getting a visa for her to travel to the States has proven to be nigh impossible, though we are going to keep trying. But there are all kinds of other ways for young people to travel in exchange programs, year-abroad, and so forth. The world, fortunately, is a big place. We had a chance to meet yesterday with a delightful young woman from AFS to learn about their student exchange and year-abroad programs. They offer programs in fifty countries and both for kids under and over 18, with a range of choices. In one form or another all of us involved adults benefited from travel and/or student exchanges earlier in our lives; it shouldn’t be all that surprising that now we all live outside the U.S. as expats. Clearly we all get it how life-changing an experience traveling and living outside Mexico could be for her. After I had contacted AFS’ branch office in Mexico City, they said “we’ll put you in touch with our person in Guadalajara.” We made an appointment to meet with her here in Ajijic; rather than us all coming to the city to meet with her she suggested meeting here for coffee, because she had a family reunion coming up. We had no idea how old this lady was going to be or who she was; I told Sofia “dress decently because this might turn into a sort of an interview, you just don’t know!” So no shorts or tank top for Sofi, she showed up in long pants and a long-sleeved shirt with just a hint of makeup and little ballet flats (perfect!). Well, the “lady” from AFS turned out to be an absolutely stunning and delightful young woman named Ana who is barely two years older than Sofia. She is now in college, recently returned from a year as an exchange student in Denmark, and she loved the experience so much that she volunteered to work for the organization and she’s charged with getting the local chapter started here. She and Sofia immediately started chattering away in Spanish and Ana told her all about her year abroad, and how it had completely changed who she was as a person, even so far as to change her direction in college. She had opted to delay her college entrance for a year so she could do the year abroad, and she suggested that Sofia consider the same thing. We all kicked the idea around with Ana, who had great information about the different programs AFS offers. By the end of our meeting with her, we all agreed that Sofia should seriously consider doing this “gap year” before college. She really wants and needs to get out of her house and her poor neighborhood and begin to broaden her horizons about what is out there in the world. For where she is coming from, the idea of living a year in a foreign country is even more significant than it might be for other, more privileged kids. Ana suggested that Sofi think about going to Denmark, where she spent her year, because of course the language she would use there would be English. But Ana also learned Danish and she said the experience of living there – a place so unlike Mexico in every way, was just incredible. She urged Sofi to consider the Denmark exchange because you’re also based in Europe and you can hop on a train or a cheapie flight and use your year there to explore a bunch of the rest of Europe. Sofi thought that was just fantastic. She probably doesn’t even know where Denmark IS on a map but she was ready to pack her bags. In contrast, I got a wake-up taste of her reality last night. She was of course totally excited after meeting Ana and I brought her back to our house and said “okay, now your assignment is to tell Arnold, IN ENGLISH, what just happened and what we are all thinking about might be a new direction for you instead of just going straight on to college after you finish prepa…” Arnold of course had been thinking that English and travel to the U.S. were top priorities for her, and this changes the equation a bit. So Sofi gamely launched into her dissertation and I just let her tell him as best she could. So she and Arnold spent some time visiting and talking about her future, which was terrific. And the more she uses her English in situations other than the classroom, the better. Then, I said “let me run you home” since it was dark out and by then it was probably 9 p.m. We went down her narrow, cobblestone street and I parked to let her out and let other traffic by and it was obvious that she wanted to talk to me about everything, but especially the situation with a boy who has been seriously after her and she’s been fending him off as best she can. However, she said, the situation with this boy is a bit more complicated because apparently he’s really a nice kid. He works, he’s involved with the dance company the little kids all dance in, he’s well mannered and well behaved and she likes him a lot “as a person” – he’s just – well, in love with Sofi. Sofi says her mother and sisters are all saying “well, you can at least be NICE to him” instead of just telling him to get lost. She said she tried to tell him she was happy to be just friends, have coffee, etc., but nothing more, and he wasn’t happy about it. She senses that her mom and sisters are subtly pressuring her to get a novio (boyfriend) after all and she wants none of it. I of course don’t really know the truth but I did say “Sofi, put yourselves in their position – they love you and only want the best for you. But in their world the best means hooking up with a nice guy who won’t beat you and lock you up in the house with a string of little children all day. Now you are really, for real, moving out into the world and away from them and everything they have known, and they are probably pretty confused: both proud of you and afraid for you at the same time. And probably deep down inside, more than a little threatened.. By now you are far better-educated than they are; use your new-found powers of analysis and critical thinking to parse this out. Human psychology is very complicated but you can deal with this!” (or words to that effect, by this time it was an hour later). Meanwhile on the street two or three doors down from her house a gang of tough-looking kids had emerged from one of the houses and were standing on the sidewalk smoking dope and dealing to people who walked by. Then Sofi sighed and said “yes, they are there and I manage to avoid them or have my uncle Danny walk with me if I need to go to the store or something, but the worst is the couple who live next door to us. They have horrible fights, he slams her against the wall and beats her horribly, she screams and comes running out into the street covered in blood. When he throws her against the wall all my mom’s dishes rattle and the young kids in our house become terrified and confused”…and on and on this tale went. It also got scary out in the street with this gang of boys eyeing us talking in the car in the darkness, so as Sofi continued talking, I started the engine, drove around the block, and parked dead in front of her door so she only had to walk a couple of feet to get in. (Soon after the boys all left.). After we were more safely right in front of her door, I ventured, “No wonder you want to get out of there, Sofi! And what is the lesson you take away from this? That a woman could be so utterly without resources, human or financial, that she has to stay and tolerate this situation? How does a woman get into this mess in the first place?” And we talked about THAT for awhile, and I said “Look, love and romance are wonderful things. When I met Arnold I was REALLY in love and acted like a loca for quite awhile because I wasn’t sure exactly WHAT was happening to me because it was the real thing! I by then had bought and sold two houses on my own, my career was stable, I had savings and investments, and a really pretty little house -in my own name – up in the hills of the East Bay with a view out to the San Francisco Bay and the Golden Gate Bridge. I wasn’t a baby anymore and I STILL fell in love and we got married and it was even more beautiful and romantic because it two real adults getting together and making this lifelong commitment, not two kids! I did the early-twenties marriage thing and it was a sad mistake that ended in a divorce.” Sofi sighed, with the weight of the world on her teenage shoulders, “that’s why I am telling all these boys that I don’t want a novio, but it is really hard for me”. drugs. He’s reading some particularly dark Scandinavian novel right now so that isn’t helping, but he really does think the gap year is a great idea for her. We shall see! I agree, the exchange program will give her more options. Her mother and sisters just don’t realize the opportunity Sofia has. They can only go by THEIR experiences, which is nowhere NEAR the opportunities presented to Sofia. So I say, Go Sofia GO! She is going into such a great phase of her life, and you would be amazed at how well she speaks English now! She needs lots of practice but we are working on that….will keep you posted! Better yet, come for a visit! I’m planning to be there for the month of August. Jan Shriver asked me to go to Mexico with her – she really didn’t want to go and stay alone. If all works out I’ll see you all then. Of course she’s house sitting her friend’s house in Chapala so we’ll be sans car…it’s the bus for us! Fantastic news! Keep us posted as to your arrival dates. Can’t wait to show you the new house. And even Jan hasn’t seen it since right when we were starting all the remodeling, and it is really pretty different now. Rosa will be over the moon when I tell her you are going to be here. We will have to plan a fiesta for sure! Jillian and Arnold! Email to only address we have wouldn’t go through !we are sitting in a plaza thinking about people and days of old. Much Love to you both!